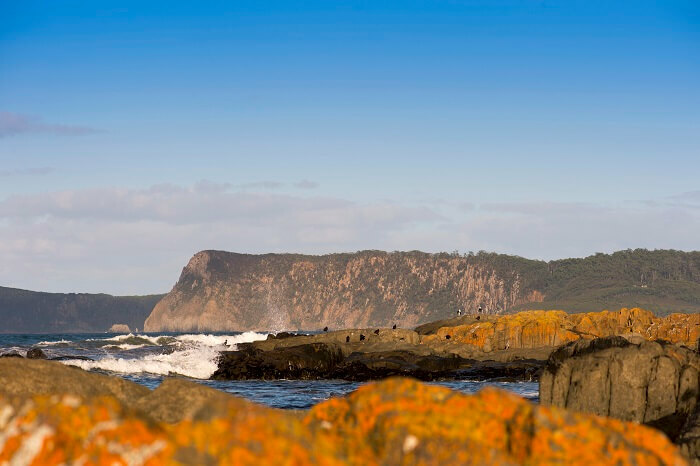 Discover the sheer beauty of Tasmania and explore the natural wilderness of Bruny in this exceptional part of the country. Here, you’ll get to marvel at stunning scenery made up of national parks, pristine beaches, impressive coastlines, and tons of native wildlife. We’ll take you to all the best spots, stopping off on the way to try local cuisine and check out key vantage points. Please note: we do not carry children under 5 years old on this tour. 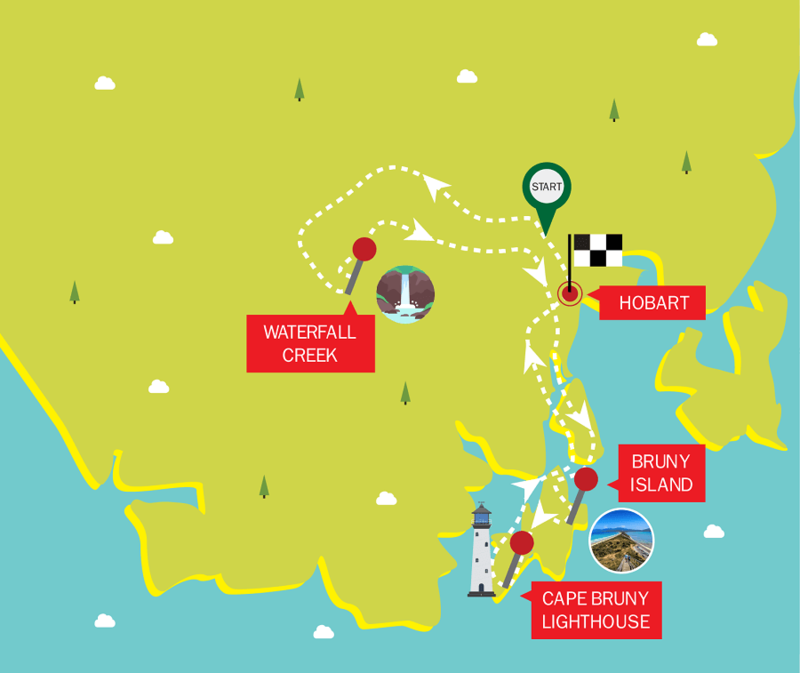 To begin the tour, you’ll be able to take a refreshing walk through the lush rainforest that surrounds Waterfall Creek, before heading to some of Bruny Island’s most spectacular beaches. Paddle in the clear shallow waters and feel the sand between your toes as you go. Then it’s time to take in some of the views from the Neck, one of the most iconic landmarks on the island. 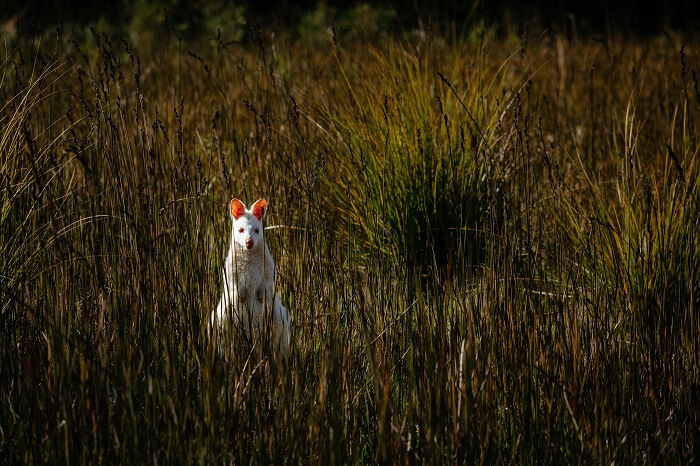 Keep your eyes peeled for some of Tasmania’s native species, including the elusive albino wallaby. There’ll be plenty of time for you to explore on foot, too, and we’ve got a number of picturesque trails to take you on depending on the weather. 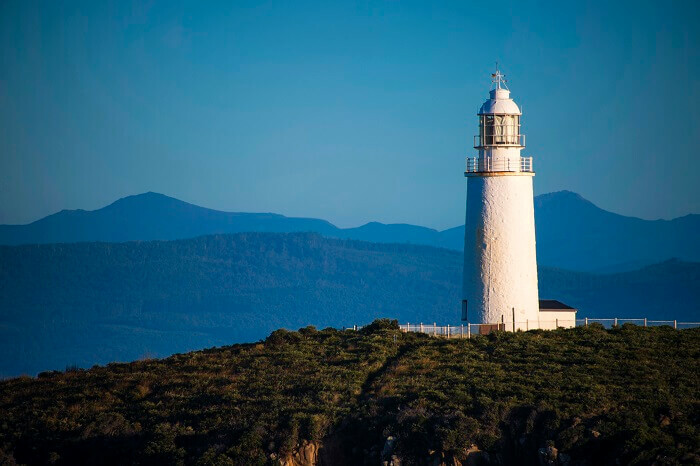 Afterwards, it’s on to see the Cape Bruny Lighthouse right at the southern tip of the island. 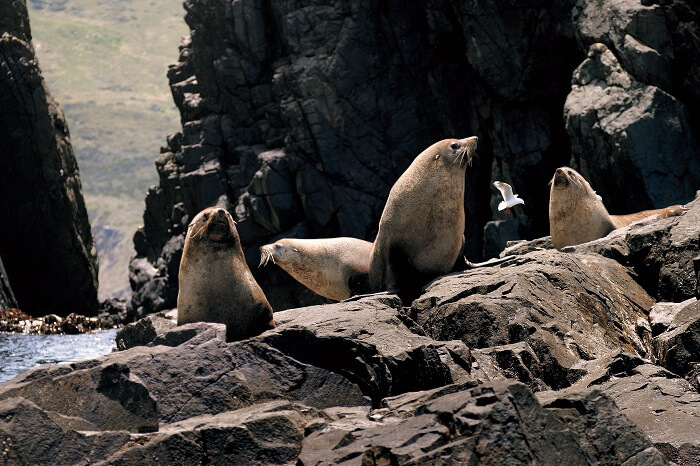 It’s now the second oldest lighthouse in the whole of Australia, and promises breath-taking views of the Southern Ocean. For lunch, we’ll tuck into either fish and chips or a tasty sandwich, but you’ll also have the chance to sample some local goods, including cheese, chocolate, berries, oysters, and wine. Towards the end of the day, there will be time for you to go swimming in the sparkling waters that surround the island. There are a number of beautiful locations for you to choose from but, if taking to the water isn’t for you, you can always take a relaxing stroll or explore the rock pools instead. As the tour comes to a close, we’ll drop you back off in the bustling centre of Hobart.